Vacation rental you desire for your family vacation and reunion, wedding or group getaway on Lake Michigan or in the United States Grand Rapids, MI and Grand Haven, MI Vacation rentals and experience fun extras Vacation rentals in Michigan for family reunion, school group or church group, weddings or just a lodge on Lake Michigan for the whole family. Don't worry if you've forgotten something ! The Team at 4RentUs.Org has put together some very cool extras for you and your family to enjoy on your vacation. Choose From : Properties below and options may be purchased above. 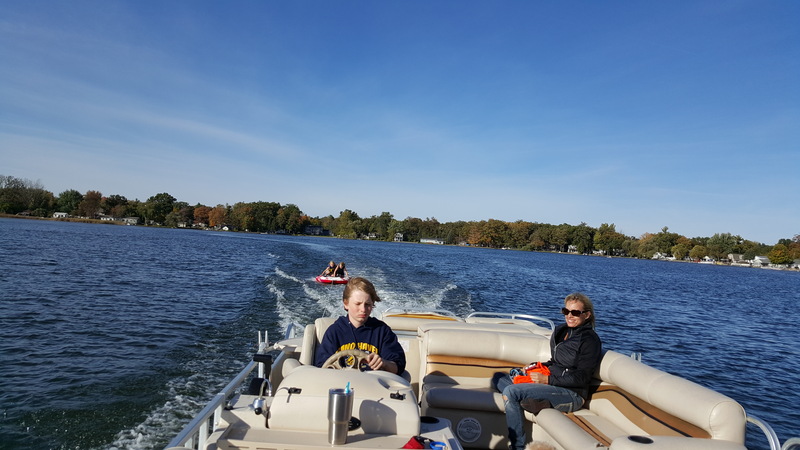 Take all your friends out to dinner in style and include a sunset cruise big lake permitting (substition would be on Spring Lake or local harbor). Service any port with additional fees to location. Water park fun only $5 per person at Spring Lake Aquatic Center includes Dump bucket water slide lazy river, hot tub and work our gym and lap area see and call JJ Fox for day rates $5- $15 per person 616 847-5858 see more at Spring Lake Aquatics Center and Mention 4rentus.org see more at http://www.slcfac.com and our short video at See video see next video see location and site information call on groups and operation times or see site. Captain Jacks Scavenger hunt only for kids made by tweens pay and get the first clue then its a fun filled clue to the next spot for your next clue up to 10 locations on the property that will keep your crew having fun. Need a act or event contact us we have access to 100's of acts from bands to soloists. Free netflix and youtube video jute box with wifi services that has both 2.4meg and 5 meg options. Guest rates will be $10 per person or $30 for a group of 3-5 people." Contact JJ Fox (616) 847-5858 indoor, pool, and water slide and lazy river. 16140 148th Street Spring Lake, MI 49456. "Guests are welcome to come out and get in their workout or swim in the family pool. Water fun free extras kayak, swim dock, canoe, row boat, paddle boat all are Free at Campau Heaven however must be put on beach with paddel when done or charges will apply if they drift away after your rental. Free netflix and youtube video jute box with wifi services that has both 2.4meg and 5 meg options. Pontoon boat at Campau Heaven see Kens Rentals as its own property on this site http://www.4rentus.org/property/9335 and book online. XBOX 360 with Kinect-(bring your own games)- $95 includes use and 2 Free games Sports and Adventures Now go ...indoor bowling, golf, soccer, volleyball, golf, surfing and more (available at Lake Michigan Luxury Mansion, and Campau Heaven only currently) ...Great family fun! 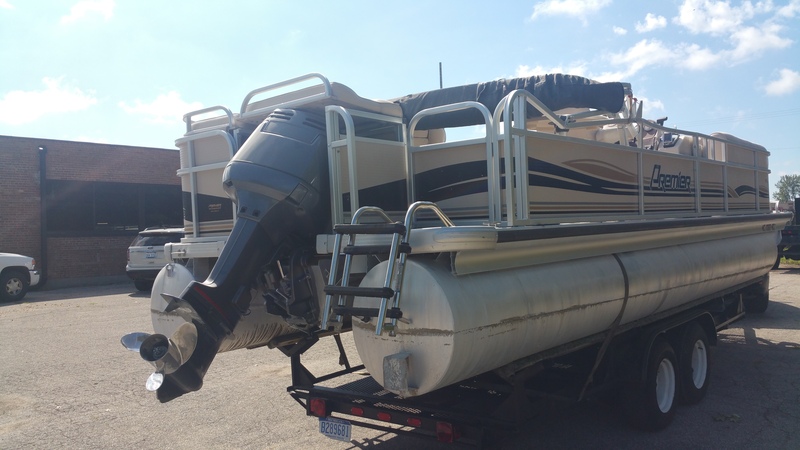 Simply Go To The Home Page and Look at the Property Option " Pontoon Boat "
Delivery: No charge at property dock Campau Lake please do not use or board with our rental only on Campau Heaven rental only. Tube and rope extra $150 for use, lake raft float extra $50 for use. Don't see your restaurant on the list? Partner With Us Today !! When on vacation, dining is part of the experience shared on every trip. Great memories often come at the dinner table. Experience some of the best dining in Michigan and make some memories that will last beyond your visit to our great state! Noto's is a local family-owned business that began in 1982 and has been in the present location since 1997. As a fine-dining restaurant, we feature Old World Italian family recipes presented skillfully in casual elegance.